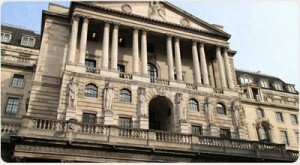 Business groups are divided over the need for yesterdey’s 0.25% increase in interest rates by the Bank of England. The move, which took the base rate from 0.5% to 0.75%, is only the only the second time the Bank has hiked the cost of borrowing since the economy crashed 10 years ago. Most economic commentators were expecting the increase and markets appeared to have already factored it in. The Bank’s rate-setting monetary policy committee (MPC) unanimously decided the economy could cope with the increase, which takes the base rate to its highest level for nearly a decade. The increase is aimed at curbing inflation, which has stayed stubbornly above the 2% target set by the government despite sluggish economic growth. CBI principal economist Alpesh Paleja said the case for another rate rise had been building, with inflationary pressures stoked by a tight labour market and many indicators now suggesting that weak activity in the first quarter of 2018 was a blip. “The Monetary Policy Committee has signalled further rate rises over the next few years, if the economy evolves as they expect. These are likely to be very slow and limited, particularly over the next year as uncertainty around Brexit takes its toll on business investment,” he said. However, the Institute of Directors (IoD) said the Bank had “jumped the gun” by raising the rate now while the British Chambers of Commerce (BCC) described it as “ill-judged” and risked undermining confidence. The IoD said: “The rise threatens to dampen consumer and business confidence at an already fragile time. The BCC said: “The decision to raise interest rates, while expected, looks ill-judged against a backdrop of a sluggish economy. While a quarter point rise may have a limited long-term financial impact on most businesses, it risks undermining confidence at a time of significant political and economic uncertainty. “The increase reinforces a concerning aspect of the Bank of England’s recent approach to monetary policy, which appears to be overly focused on reinforcing an idealised direction for rates, rather than on economic reality – an approach that unnecessarily risks UK’s growth prospects. “The central bank’s assumption that the economy’s speed limit has slowed is unduly pessimistic, as sustained action to fix the fundamentals at home, from closing the skills gap to greater infrastructure investment, would materially help lift the UK’s growth potential. 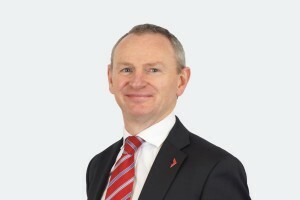 David Westgate, pictured, group chief executive at Keynsham-headquartered estate agency and property group Andrews, said the move was “very unlikely” to cause any shock waves in the property market. “We mustn’t forget that rates are still at a record low and have been for 10 Years. Indeed, we should remind ourselves that back in 2008, before the economic dip, the base rate was around 5%! “What this means, is that in recent times, many people have opted for fixed-rate mortgages to take advantage of these historically low rates. Mortgages on floating rates, meanwhile, that would be subject to adjustment after today’s announcement are currently at a record low. Many borrowers are, therefore, protected against any resultant uplift in mortgage costs. The 0.25% interest rate increase means an additional £12 a month for a typical £100,000 repayment mortgage. However, nearly 70% of homebuyers now have fixed-rate mortgages. The Bank’s last interest rate rise took place in November last year when it was increased from a record low of 0.25% to 0.5%. Bank governor Mark Carney had hinted several times over the past further hikes would be needed – but the MPC has sat on its hands until yesterday due to the mixed economic picture. Mr Carney said yesterday that further rises were expected but they would be ‘limited and gradual’. “Rates can be expected to rise gradually. Policy needs to walk – not run – to stand still,” he said.